Enjoy the area's culture, history and museums and make a vacation rental your home during your stay in Montevallo. Renowned for its restaurants, shopping and university setting, this city welcomes all visitors. Many of our vacation rentals offer full kitchens, spacious living quarters and sometimes even a hot tub—perfect for a relaxing getaway. The nearest airport is in Birmingham, AL (BHM-Birmingham Intl. ), located 31.5 mi (50.7 km) from the city center. Can I rent Studios in Montevallo? Can I find a vacation rental with internet/wifi in Montevallo? 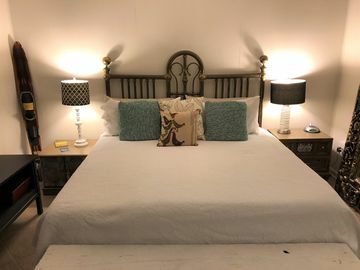 Yes, you can select your preferred vacation rental with internet/wifi among our 3 vacation rentals with internet/wifi available in Montevallo. Please use our search bar to access the selection of vacation rentals available.